Many families and individuals are planning to take full advantage of the summer. This is the season of slower work schedules, time off school, and pleasant weather across the nation. That’s why more people plan to take vacations, visit friends and loved ones in other parts of the country, and simply enjoy the summer sunshine. Summer brings some major holidays, including Memorial Day, Independence Day, and Labor Day. These are times when people plan cookouts, camping and nature outings, days at the beach or lake, or just quality time with loved ones. To maximize enjoyment of these good times, it’s helpful to have some spending money on hand. 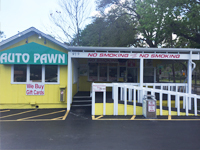 Of all the pawn shops in Daytona Beach and the surrounding area, only Auto Pawn has the solid reputation of offering consistently-stellar deals and stand-out customer service. When you bring in your vehicle with a clear title in your name, you can walk out with the cash you need for a spectacular summer. Nothing sours summer plans quite like outstanding debt. Don’t let owed payments ruin the seasonal enjoyment for you and your family. We have several pawn options that allow you to make lasting memories while keeping creditors at bay. Along with vehicle title loans, we also offer cash for gold and gift cards. That means you can turn your unused jewelry and unwanted gift cards into funds that can be used to create a truly spectacular summer. What better time than summer to finally get around to those home improvement projects you’ve planned? When you pawn your vehicle with us, you can bankroll repairs and upgrades that you’ve been thinking about all year long. In addition, there are times when the unexpected occurs. For instance, air conditioning is a necessity in the hot Central Florida summers. If your unit fails, it puts the health and wellness of your family in jeopardy. It’s nice to know that pawning your vehicle is an option to quickly obtain the funds you need to ensure comfort and peace of mind. Also, severe weather is a reality in Central Florida. From high winds and rain to thunderstorms, and even hurricanes, weather can cause damage and unpleasant scenarios that must be immediately addressed. With three convenient Volusia County locations, we’re always accessible. That means your nearest pawn shop is closer than you think. For years, we’ve delighted countless customers across Central Florida. 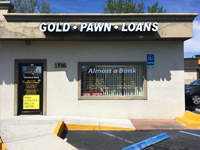 Favored among all Daytona Beach pawn shops, our friendly and knowledgeable team members consistently go above and beyond to provide you with the most courteous and comprehensive customer service possible. 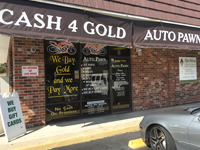 In addition, we’re proud of the ability to pawn all types of vehicles. From cars to trucks, motorcycles, and boats, the process is easy and efficient. When you bring in your functioning vehicle with clean title in your name, you can get a decision in no time. Contact us today for more information or stop by one of our three Volusia County locations to get started on your vehicle title loan.